Ship Breaker takes place in a futuristic world that has barely survived an environmental disaster of major proportions. The sea levels have risen, and in the Gulf Coast most major cities are now submerged. People in small seaside communities like Bright Sands Beach, the community Nailer Lopez belongs to, survive by doing whatever they can. Nailer is a ship breaker, which means he risks his life scavenging copper wire from wrecked ships and oil containers. He knows he won’t be small enough to do this job for much longer, but having grown up with malnutrition he won’t ever be big enough to work heavy crew. And those without a crew or a means of subsistence face starvation. After a hurricane almost destroys everything they know, Nailer and his friend Pima come across a wrecked luxury ship filled with valuable goods. If they can claim the loot for themselves, this is it – the “lucky strike” that will make them rich (the term being defined, as the story later shows us, within a very specific context). But inside the ship there’s a survivor – a privileged girl who belongs to a world Nailer and Pima can barely imagine. And she needs their help. Heather: Since I already know some things about this book bothered Chris, I want to know all about it. What bothered you about this novel? Nothing at all! I really loved it. Well, I guess at first I was a little frustrated when I finished it, mostly because it felt so short. The world Paolo Bacigalupi evokes is so well built, so rich and interesting, that I wanted more from it. And I use the term “evoke” because Bacigalupi doesn’t devote a lot of time to describing it – he sets his premise and then moves on to exploring the everyday details of living in such conditions. I wanted to know what happened next – not necessarily to the main characters, but to all of humanity under these circumstances. The dystopian elements of Ship Breaker are of the kind I favour, and also of the kind I find the most terrifying: they feel possible. They’re the kind of thing we could realistically face in our lifetimes. As scary as that is, it’s also something I want to explore intellectually, so of course I wanted more stories set in this world. So yeah, my only frustration with this book was the very best kind of readerly frustration possible: it means the author has done his job right. 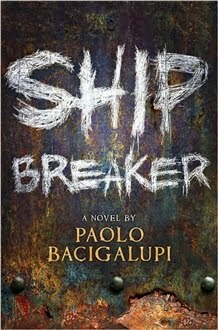 Also, it turns out that Bacigalupi is working on a companion novel set in the world of Ship Breaker, so there will be more. Hooray! Debi: It’s weird. I spent forever trying to figure out why I didn’t like this book more than I did. (And I’m not saying I didn’t like it—I just expected to like it more than I actually did.) Then Ana wrote a post about not connecting emotionally with books, and it hit me that that was really what was at the root of my disappointment with this book—I didn’t really connect on an emotional level. Did you all? I think I connected with it more on an intellectual level, but I honestly think that has more to do with the phase I’m going through right now than with the book itself. And by this I don’t mean I had no emotional investment in the story – as I’ll explore in more detail in my next answer, I grew to really care about the characters. All the same, the mostly intellectual reading experience felt right, because despite being fast-paced Ship Breaker is a very cerebral sort of book. It deals with economics, sociology, environmental issues, the impact of global commerce, the power of major corporations, social inequalities and injustice, and the power dynamics and hierarchies all these produced even among the underprivileged. 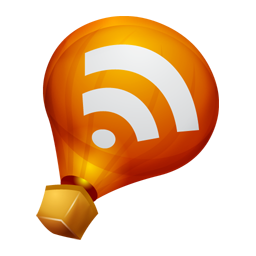 It kind of reminded me of Cory Doctorow’s work, which as you might remember I love. Kelly: What did you think of the characters? Do you think they were written believably? Were there any that you loved? Hated? Yes! I loved the characterisation. Everyone – from Nailer and Pima to Nita, the girl they rescue; from Nailer’s terrifying father to Tool, a genetically engineered “half-man” who takes his fate into his own hands – was not only believable but also complex. Bacigalupi’s characterisation is subtle, dark, and daring: he has a very clear understanding of how circumstances shape people’s personalities and ethics codes, but never crosses the line into determinism. My own question touches on this, so I’ll keep this point brief here, but it was wonderful to see the characters struggle with their circumstances in a way that didn’t deny their agency. Also, as I said previously, I grew to really care about the main characters. Nailer, Pima and Nita all consider, at one point or another, doing extremely unpleasant things that would normally render a character unsympathetic. But these situations seamlessly show the major themes of Ship Breaker at work: Bacigalupi doesn’t do anything for shock value, and he never fails to account for why his characters waver. Readers can clearly see their investment in one choice versus the other; they can see what each course of action might mean to them. So although we continuously hope against the worst, we never doubt their humanity. Chris: Comments on race and gender issues in the book? What did you like? What didn’t you like? Bacigalupi did a wonderful job of diversifying his cast. Characters from different backgrounds and ethnicities: check. Girls and women actually doing things: check. I loved the fact that he acknowledges that the traditional association between gender and hard labour or physical frailty is actually class-driven: in a world like the one these characters inhabit, women like Pima and her mother, who work side by side with men and have developed the muscles to do it, would of course be more of a rule than an exception. Nita, on the other hand, grew up on a sheltered world of luxury, but when necessity drives her she’s anything but incapable. Me: One of the things that interested me the most about the book was the tension between, on the one hand, the idea of taking your life into your hands and making your own destiny, and, on the other hand, dealing with a very difficult reality full of inequalities and different opportunities for people born in different circumstances. Thoughts and comments on this? [Humans] make their own history, but they do not make it just as they please; they do not make it under circumstances chosen by themselves, but under given circumstances directly encountered and inherited from the past. In Ship Breaker, the characters often allude to the Fates, the random or luck element of a world that they feel is beyond their control. Everyone is Nailer’s community believes in Fates, and with good reason – these are people on the very brink of survival; people who can’t explain their misfortune or do much to influence their circumstances. But Nailer thinks that Fates is not all it takes: you also need smarts. You need the ability to seize the chances that come to your way. You need both the right moment and the ability to make the right decision when that moment comes. Ship Breaker repeatedly makes the point that biology is not destiny. Class is not destiny. Blood is not destiny. Even genetic engineering is not destiny. Nobody is born into an inescapable mould. However, Bacigalupi is far too intelligent and subtle a writer to turn this into wide-eyed “believe in yourself and you can be anything!” idealism. The evidence of the cruelty of circumstances, of the unfair randomness of life, is all over Ship Breaker. But within those limitations the characters are far from helpless or passive. They pick their own allegiances, their own priorities, their own families, and the weapons they are and aren’t willing to use in their own struggle for survival. Ship Breaker combines fast-paced action, a realistic dystopian setting, excellent characterisation, and complex ideas about social justice, power, privilege and responsibility. No wonder it won the Printz Award. Okay, wow! You've now got me pondering this book in ways that had honestly just escaped me before. I think this book deserves a reread from me one day soon. One thing I actually had thought about before was the world he created. Like you, I so appreciated the way he was able to create this terrifying world that came to be largely through environmental destruction. But he didn't feel the need to spell out the exact "how" of it all. The reader knew without being preached to. And the world was terrifying. I absolutely love post-apocalyptic stories--and more than any other type of story, I find that I tend to insert myself into that world and "live" the story with the characters. But I just couldn't do that with this story because it was just too freakin' horrifying--and like you said, the reason it was so unbelievably scary to me was because it was so incredibly plausible. Anyway, Ana, thank you for giving me so much to think about. I definitely read this one on far too shallow a level. Which I am unfortunately apt to do way too often. I loved this book but I think it is true that because it is a book that engages one on an intellectual level more than an emotional level, some readers may not connect as much with the characters. So happy to hear there will be a follow up! This sounds really interesting, surprising that so many didn't like it! Also, I LOVE that quote! So fantastic. I'm listening to the audio of Ship Breaker right now, and one thing that has struck me is the diversity. I'm so used to books with default mode characters, that it's kind of a treat when a YA book I read has non-white characters. As per usual, you have me considering the deeper meaning and deeper themes of Ship Breaker. I love how your posts make me feel a tiny bit more intelligent after I read them. I really liked this format, it was entertaining to see you all ask and answer questions about it. And of course I've been looking forward to all your thoughts on the book since way back when I stumbled upon a Twitter conversation that many of you were having where there was some indication that the book did not impress at least some of you who were reading it. I was especially interested in hearing why because this is a book that I really connected to right out of the gate, loved it, and raved about it when I read it earlier this year. I then read an interview with Paolo Bacigalupi about the novel and that made me respect it and him even more. I have been thrilled seeing the book get the recognition that it has gotten because I think it is one of those rare YA novels that transcends the genre or at the very least spotlights just what the genre can do and how it can go toe-to-toe with "adult" literature in being entertaining and full of impact at the same time. But what some of you point out, and Heather does on her review, is the very important thing to remember when it comes to books and that is that we all connect differently. I certainly feel justified in taking issue when someone says that a book is poorly written and yet it has won several awards and is praised by fans and critics alike. But I never take issue with the fact that people sometimes just don't like a certain book. And there is nothing wrong with that at all. We all know sometimes it is about timing, sometimes about the type of book, and sometimes no amount of perfect circumstances will make us like a book because we just don't connect to it. And I think acknowledging that fact is important because it opens the door to some interesting dialogue about story and how story connects or doesn't connect with the individual reader. Glad you all finally got around to doing this review. Excellent review. It made for fascinating reading even though I've not read the book. I love Mr. Bacigalupi's short stories, but wasn't able to get very far with his adult novel, The Wind-up Girl. I think I had the same problems with it that some of those in this group had with his YA novel. I may give this one a try though since it might be of interest to my 7th graders. This just confirms that I need to investigate Bacigalupi. I do want to start with The Wind-Up Girl, but this one won't be too far behind, I imagine… I love the fact that it explores destiny and choices in a realistic rather than idealistic way. Add a diverse world on top of that, and this sounds like a brilliant YA novel. This sounds interesting to me. I wonder about the privileged girl and what she wanted from Nailer and Pima. Even though some didn't like it, I think that your synopsis and thoughts on this book are really intriguing. I might have to check this one out at some point. The part that Fates play in the story is also interesting to me. That does intrigue me. Is that the author of The Windup Girl? I've been wanting to read that one.